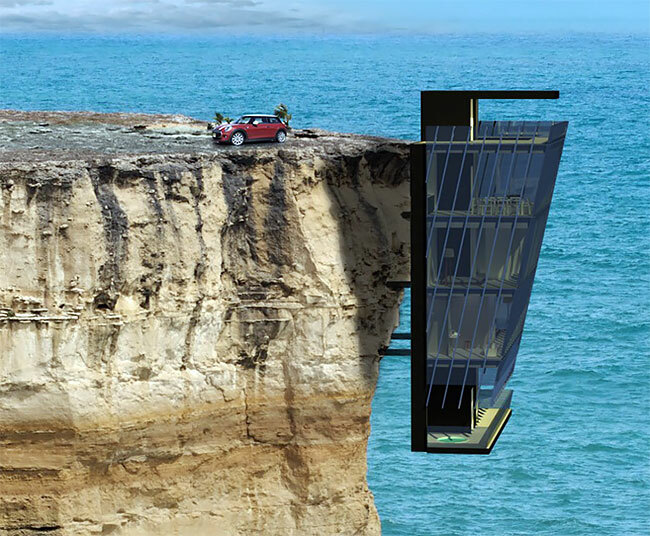 A five storey modular home clings to the side of a cliff in this conceptual design by Modscape. 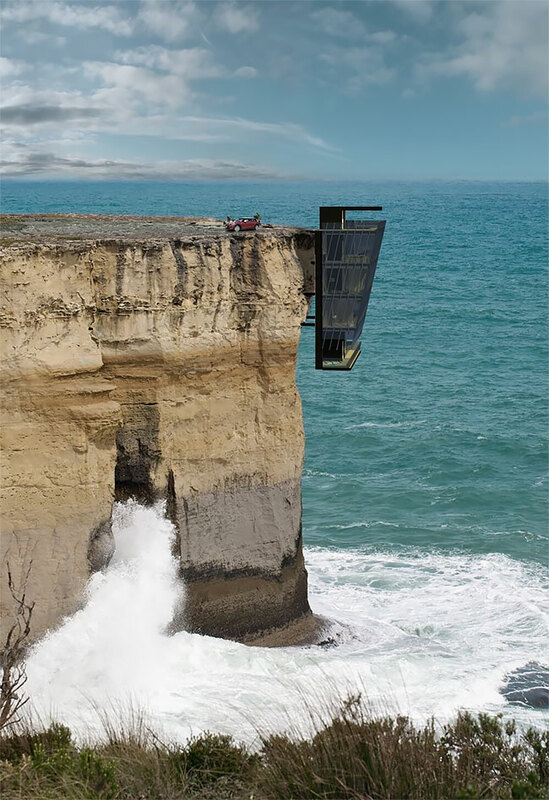 Entitled the Cliff House, the modular design is a theoretical response to clients who have approached Modscape to explore design options for building modular homes in Australia on extreme parcels of coastal land. 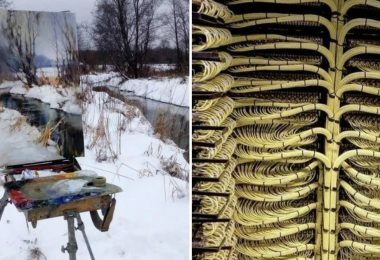 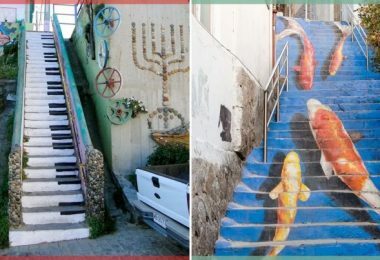 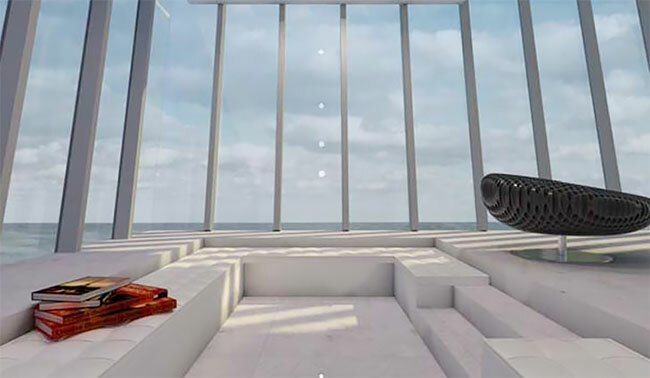 As the design itself would make conventional construction prohibitive, the concept utilises Modscape’s modular design and prefabrication technologies to deliver a series of stacked housing modules that are anchored into the cliff face using engineered steel pins. 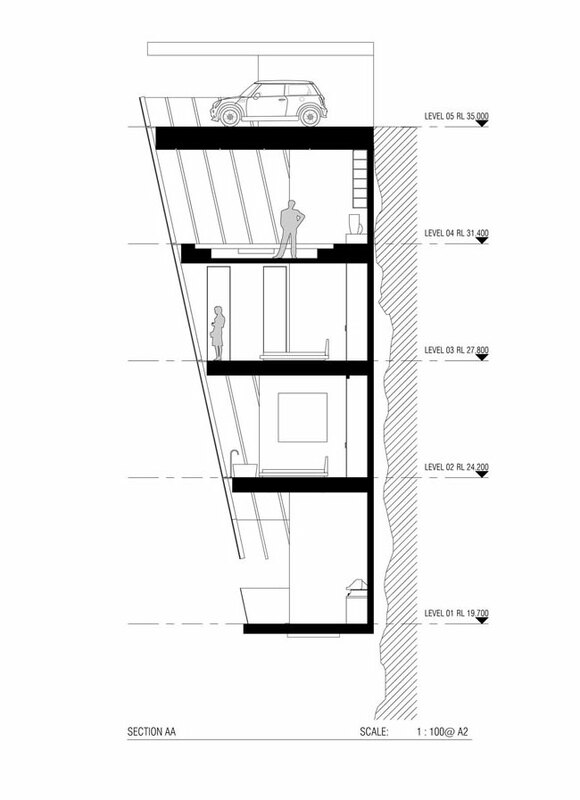 Entry to the prefabricated home is through a carport on the top floor, where a lift vertically connects the user through each of the descending living spaces. 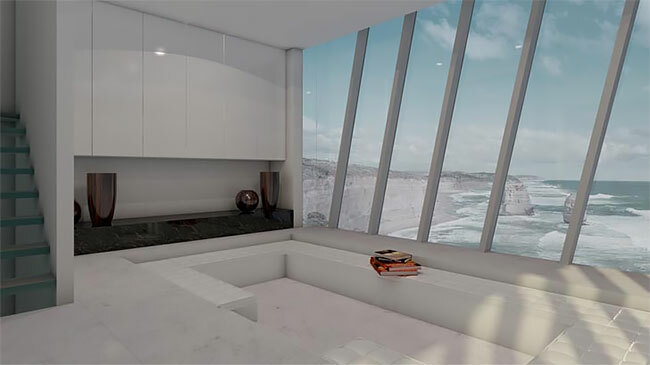 Internally, the living spaces feature minimalistic furnishings to ensure that the transcendent views of the ocean and the unique spatial experience of the location remain the integral focal point of the design.